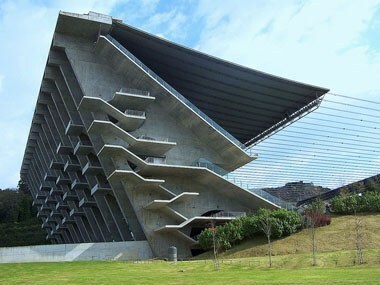 Braga Stadium, designed by Pritzker winning Portugues architect Eduardo Souto de Moura, is one of the greatest architectural gems of our generation. Tip o’ the hat to Google for recognizing Rachel Carson with today’s Google doodle. Happy Birthday Rachel Carson & thank you for Silent Spring. It’s World Turtle Day, don’t forget to shellebrate!!! Irresistibly cute purple sheep show you why wool is a great sustainable choice for your next floor covering project. Did you know wool makes a good plant food too? Beautiful use of bamboo countertop material in this Vancouver kitchen remodel. We’re loving bamboo as a counter top for so many reasons—sustainability, affordability, versatility. Have you used it in a project? Take a photo tour here to see all the great materials used in this innovative and fun destination. Heather from Green Goods Products gives the low down on the choices and benefits of designing with Eco Friendly countertops. I’m not talking about green the color, I’m talking about green the lifestyle. You may think that if a carpet is made from wool that it’s a natural product and an excellent choice for a healthy lifestyle. But it takes more than just fiber to make a carpet. Let’s start with fiber anyway, even that basic ingredient can be more green. "Deep Green" sheep are raised in a free range environment. They are outside in all types of weather, both harsh and pleasant. This dynamic environment causes the sheep to grow a very hardy fleece with excellent crimp and fiber characteristics. The colors for a truly green carpet are derived from the wool as it is naturally grown on the sheep’s back. 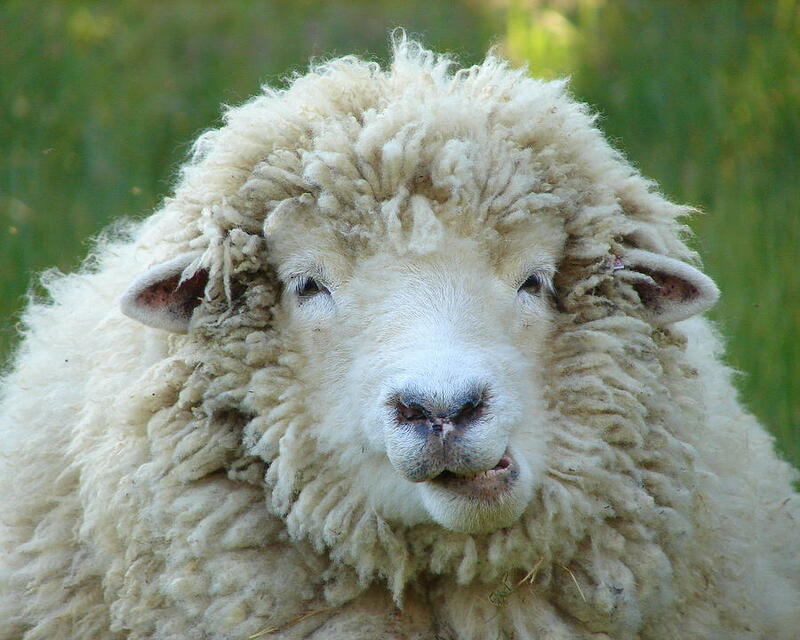 Just as humans have specific colors of hair, so do the sheep have unique colors based on particular breeds. These naturally colored fleeces are blended to achieve the beautiful colors for carpeting. No dyes or harsh chemicals (moth proofing) are applied. The natural lanolin in the wool serves to repel soiling and the twist of the wool fibers keeps dirt from getting down into the backing of the carpet. 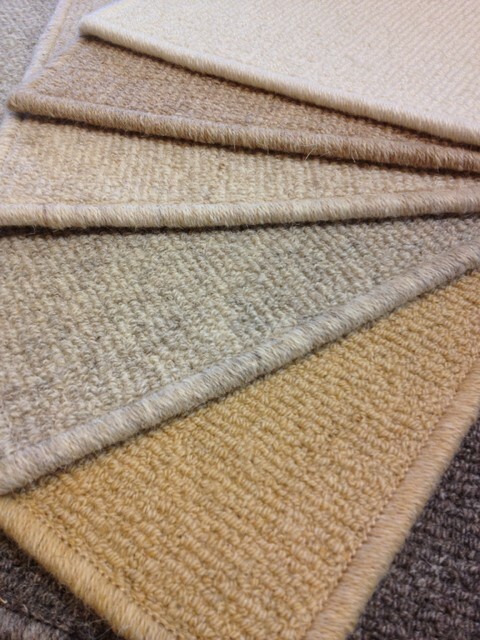 Backing material and padding can also make a wool carpet “greener” and healthier for your family. 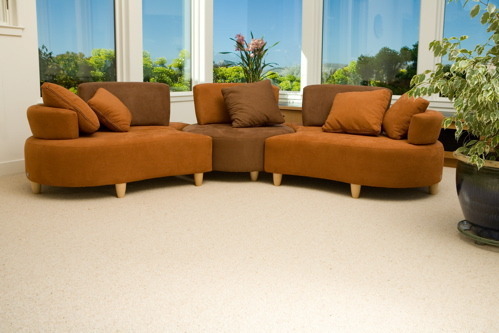 Conventional carpet backing and padding is made from synthetic materials while a “Deep Green” wool carpet has a primary backing made from cotton and hemp, a secondary backing made from jute and a pad made from real rubber. When you shop for wool carpet, keep in mind—happy sheep, natural colors, natural materials top to bottom—these are the elements that create a beautiful, eco-friendly, healthy wool carpet for your home. We are loving this new countertop material made with concrete, paper and fly ash—looks heavy but isn’t, great earthy color palette, natural wax finish and eco-friendly. And of course, looks good. Squak Mountain Stone. Dig it.